Deep within the Shropshire countryside, the village of Yaughton stands empty. Toys lie forgotten in the playground, the wind blows quarantine leaflets around the silent churchyard. The birds lie where they have fallen. Strange voices haunt the radio waves as uncollected washing hangs listlessly on the line. Above it all, the telescopes of the Observatory point out at dead stars and endless darkness. And someone remains behind, to try and unravel the mystery. Players can experience the rich, deep adventure and investigate the last days of Yaughton Valley. They have to uncover the traces of the vanished community, discover fragments of events and memories to piece together the mystery of the apocalypse. 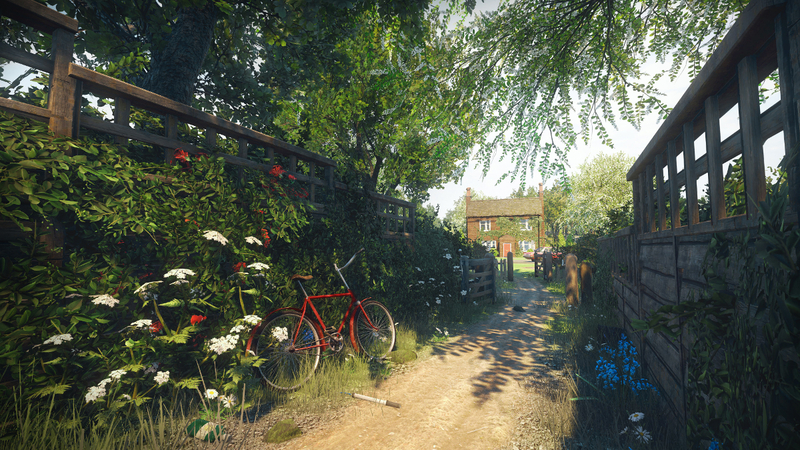 Featuring a beautiful, detailed open-world and a haunting soundtrack, Everybody’s Gone to the Rapture is non-linear storytelling at its best. The Chinese Room is an award-winning game development studio based in Brighton, UK, best known for creating experimental first-person games. The small studio focuses on innovation and immersion. They want to use this amazing medium to tell great stories and explore incredible new worlds.